1.EDIY mug clamp is made of top grade silicone,it's durable and reliable. 2.This mug wrap clamp is special for 11oz special-shaped mug/lovers mug/semicircle cup. 3.EDIY mug clamp is widely used in 3D vacuum heat press machine,3D sublimation machine. 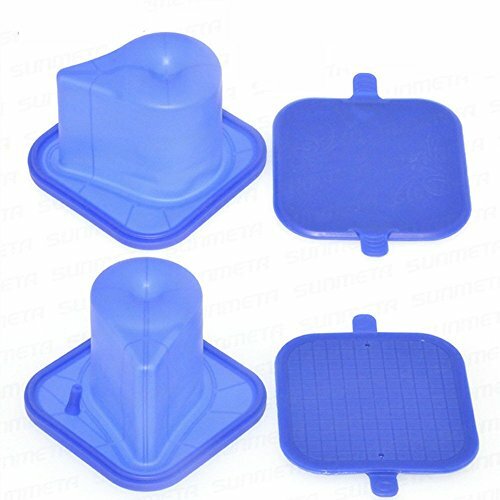 4.The mug clamp is eco-friendly design,which use environmental protection silicone material. 5.It's very easy and quick to use,just put glass inside and cover well,then put into machine. 6.It's to deal with special-shaped mug,so the vacuum paper touch mug cloesly,to enhance heat transfer effect. 1.It's better to warm the mug clamp for 2-3 minutes before using,which will extend its life,also pls kindly careful use. 2.This kind of clamp is consumables,maybe easy to wear and tear,but it depends,some use it for months and some for times. ★ Premium Silicone Material:EDIY mug clamp is made of top grade silicone,it's high temperature resistant. ★ Special Mold:This mug wrap clamp is special created for 11oz special-shaped mug/lovers mug/semicircle cup. ★ Eco-friendly design:The mug mold use environmental protection silicone material,wonderful printing effect. ★ Easy to Use:EDIY mug transfer mold is very easy and quick to install,just put mug inside,then cover it well. ★ Widely Application:EDIY mug clamp is widely used in 3D vacuum heat press machine and 3D sublimation machine.